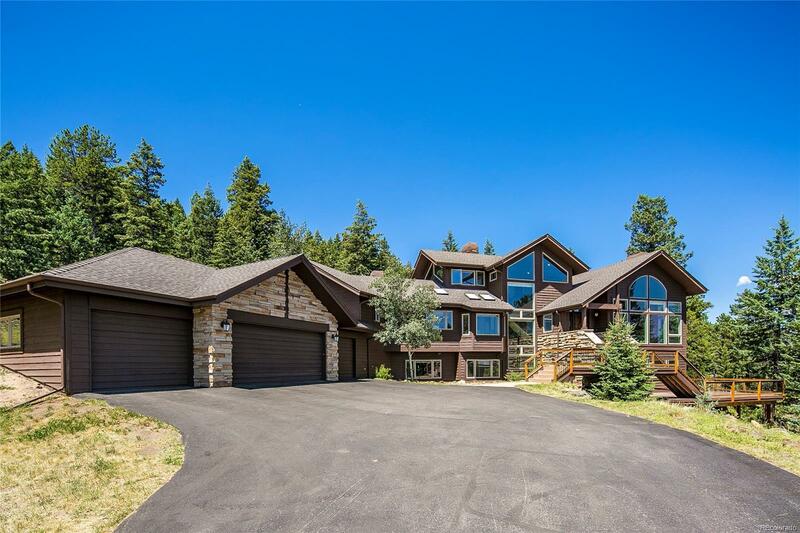 Incredible Mountain Home just outside of Soda Creek with no HOA. This one checks all the boxes! Over 12 acres of seclusion with great eastern views. House was TOTALLY remodeled in 2014 from top to bottom. Hand Sawn Amish Oak Floors throughout. The well appointed Kitchen has gorgeous alder cabinets, a huge cherry island, high end Thermador appliances, and a thoughtful "hidden" work space/pantry. Enjoy your morning coffee in the quaint sitting area open to the Kitchen while you relax by one of (4) fireplaces. Stunning master bedroom complete with 2 walk in closets and a loft. Secondary master/guest suite on the main level, and 2 additional bedrooms in the basement. This home boasts an office, a secondary "flex" space (could be a 5th bedroom), a fantastic mud room, and a 4 car garage. This one has it all!